May 17, 2017 – Hoteles City Express, S.A.B. de C.V. (“Hoteles City Express” or “the Company”) (BMV: HCITY), announced today the opening of City Express Junior San Luis Potosí Zona Industrial, reaching 125 properties and more than 13,900 rooms in 63 cities and 29 states in Mexico, as well as in Colombia, Costa Rica, and Chile. 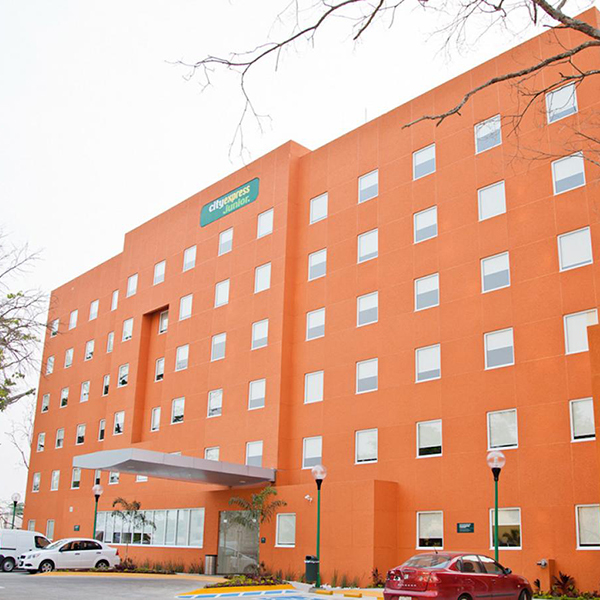 The City Express Junior San Luis Potosí Zona Industrial hotel is the fifth hotel of the chain in the state of San Luis Potosí and it will operate under a management contract. This new property, located in Carretera Federal 57, will serve travelers drawn by the industrial sector. With this new property the Company strengthens its presence in the Bajío region, which shows solid economic fundamentals over the medium and long term. Hoteles City Express is considered the leading and fastest-growing limited-service hotel chain in Mexico in terms of number of hotels, number of rooms, geographic presence, market share and revenues. Founded in 2002, Hoteles City Express specializes in offering high-quality, comfortable and safe lodging at affordable prices via a limited-service hotel chain geared mainly towards domestic business travelers. With 124 hotels in operation located throughout Mexico, Costa Rica, Colombia and Chile, Hoteles City Express operates five distinct brands: City Express, City Express Plus, City Express Suites, City Express Junior and City Centro to serve different segments of its target market. In June 2013, Hoteles City Express completed its IPO and began trading on the Mexican Stock Exchange under the ticker symbol “HCITY”; furthermore, on October 8, 2014, Hoteles City Express completed a follow on with the aim of accelerating its growth in new hotels in coming years.